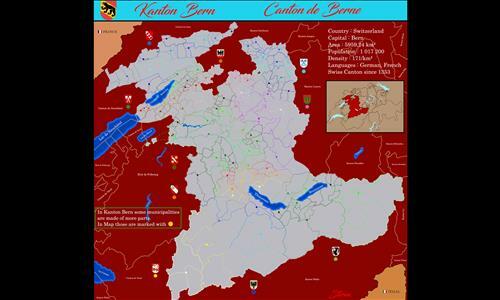 The Kanton Bern is a swiss canton since 1353. Bern is the capital city. It's the second largest canton and second most populous canton. Review by Arachnocat14 on 2/28/2018. Great map, but I think a lighter color like sky blue or tan would be a better background color than bright red. Review by chopin11 on 3/22/2018. Review by warhawk on 3/29/2018. Map work is good, no missing connections. A typical WZ/WL map.